AREDS 2 - Who Benefits from Taking These Eye Vitamins? AREDS 2 stands for Age Related Eye Disease Study 2. The study evaluated the effectiveness of adding lutein, zeaxanthin and omega-3's to the original AREDS formula. This eye vitamin study was a multi-center randomized trial of approximately 4,200 participants. Enrollment concluded in June 2008 and participants were followed between five and six years. 1) Study the effects of high supplemental doses of the dietary xanthophylls ( lutein and zeaxanthin ) and omega -3 (DHA and EPA) on the development of advanced AMD. 2) Study the effects of these supplements on cataract and moderate vision loss (doubling of the visual angle or the loss of 15 or more letters on the ETDRS chart). 3) Study the effects of eliminating beta-carotene in the original AREDS formulation on the development and progression of AMD. 4) Study the effects of reducing zinc in the original AREDS formulation on the development and progression of AMD. 5) Validate the fundus photographic AMD scale developed from the Age-Related Eye Disease Study." Beta-carotene which was in the original AREDS formulation has been eliminated and the zinc dosage has been reduced. One of the purposes of the Age Related Eye Disease Study 2 is to "Study the effects of reducing the zinc supplement in the original AREDS formulation on the development and progression of AMD." Many nutritionists have expressed concern over the high levels of zinc that were included in the original Age Related Eye Disease Study. The original AREDS included 80 mg of zinc oxide that showed some benefits, but some participants also experienced some side effects. "While zinc is an important component of the AREDS formulation, based on evidence from AREDS2 it is unclear how much zinc is necessary." 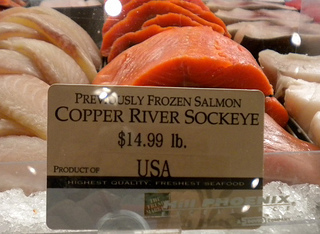 (3) no beta-carotene and lower amounts of zinc. Eligible participants were followed for a minimum of five years. The National Eye Institute recruited 4,000 participants in its Age Related Eye Disease Study 2 (AREDS). It was designed to assess the effects of oral supplementation of high doses of the macular degeneration antioxidants, lutein and zeaxanthin, and omega-3 LCPUFAs (DHA and EPA) for the treatment of AMD and cataract. 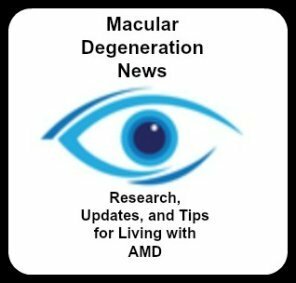 Again this study is related to those who have been diagnosed with AMD and is not a study on the prevention of macular degeneration. Results of the study were published in May 2013. To give some insight into what those conclusions are and what they mean for those with macular degeneration, Dr. Edward Paul has answered some frequently asked questions. 1. Tell us about yourself, your credentials and your interest in macular degeneration. Dr. Edward Paul is a low vision specialist with a Ph.D. in nutrition. One of Dr. Paul's specialties is age-related macular degeneration (AMD). He graduated from Southern College of Optometry and also holds a Ph.D. in nutritional medicine. His interest in nutrition and eye disease lead to the development of TOZAL, the first prescription supplement for the treatment and prevention of AMD. He has served as professor of ophthalmology at two international medical schools and was chosen as one of “America’s Top Optometrists” by the Consumer’s Research Council and as a "Leading Physician in the World" by the International Association of Healthcare Professionals . He is a Diplomate of the International Academy of Low Vision Specialists and the author of several books, including Prevent and Reverse Eye Disease. 2. Tell us how the Age Related Eye Disease Study 2 (AREDS 2) is different from the original Age Related Eye Disease Study (AREDS). In 2006 the National Eye Institute (NEI) launched AREDS2, a six-year study designed to test whether the original AREDS formulation could be improved by adding omega-3 fatty acids (EPA & DHA); adding lutein and zeaxanthin; removing beta-carotene; or reducing zinc. Conducted at 82 clinical sites across the US, the trial included 4,203 participants, ages 50-82. 3. Can you explain some of the main conclusions that were recently reported from AREDS 2? The study was intended to provide clarity on which supplements work for AMD, however in reality, AREDS2 raised more questions than it answered. For example, ethyl ester based omega-3 fatty acids did not prove effective, even though there are 60+ peer-reviewed articles that show omega-3 fatty acids from fish oil do have both a protective and therapeutic effect for AMD. Another key finding of AREDS2 is that lutein and zeaxanthin may be safer than beta-carotene in reducing risk of disease progression. The third finding was that 25 mg of zinc was as effective as 80 mg of zinc. The Institute of Medicine Board recommends the upper limit of zinc to be 40 mg, so a big question for the NEI is why they left the recommended dosage for zinc at 80 mg when 25 mg is just as effective? 4. Were you surprised by any of the findings? The null effect of omega-3 was the biggest surprise, once again because there is overwhelming evidence from other studies that omega-3 is effective in preventing and slowing the progression of AMD. One theory being debated by eye physicians and nutritionists is that AREDS2 used ethyl ester (EE) omega-3 fish oil instead of the natural triglyceride (TG) form, which is generally recognized as being better absorbed by cells. 5. 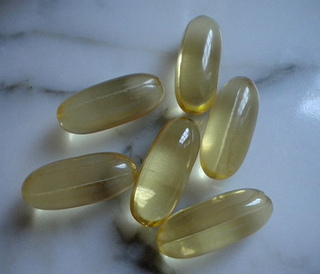 Now that the study results are in, what are your recommendations regarding fish oil supplements and/or fatty fish in one's diet? I recommend three servings of fatty fish per week (salmon, tuna, mackerel, sardines) however I realize this is difficulty for many patients. I will continue to recommend a minimum of 600 mg of natural triglyceride (TG) omega-3 fish oil for patients at risk for AMD or diagnosed with AMD. We know AMD is an "inflammatory" disease, especially in those patients who have converted to Wet AMD or those at risk for Wet AMD. Omega-3 is an "anti-inflammatory" nutrient and will continue to be recommended by most eye physicians. 6. Also comment on the conclusions regarding the addition of lutein and zeaxanthin in the AREDS 2 formula. What are your recommendations regarding these antioxidants as a supplement and through food sources? A minimum of 10 mg of Lutein and 2 mg of Zeaxanthin is recommended in place of beta-carotene. In addition to supplements, leafy green vegetables that are high in lutein & zeaxanthin are: kale, spinach, collards and turnips. 7. Can you provide some clarification as to the role of macular degeneration supplements for those with macular degeneration and for those who are at high risk for developing AMD? First, it is universally accepted that nutritional supplements do have a protective effect in slowing AMD. The TOZAL Study, published in the British medical journal BMC Ophthalmology, showed that 76% of patients who took the study formulation for at least six months had a stabilization or improvement in vision. Unfortunately the wide variety of eye supplements available for those with AMD makes it very confusing for patients. For example, a recent visit to a local retail pharmacy revealed over 15 different eye vitamins marketed for AMD ... and they are not all equal in ingredients or effectiveness. My recommendation is that patients discuss with their eye doctor which supplement is best for them. One exciting note is that emerging science is suggesting supplements may help prevent AMD in those at risk. For example, high levels of homocysteine, the same protein that increases heart attack risk, is predictive for AMD. It is easy to lower homocysteine by taking a combination of B-vitamins including folic acid. Also, Vitamin D3 has been shown to decrease the risk for AMD, especially in women. 8. What are your top 5 recommendations for a healthy vision diet? 1. Follow a "heart healthy" diet. If its healthy for the heart, its healthy for the eyes. 4. Increase consumption of healthy proteins from fish, such as salmon, tuna, mackerel (sorry - Long John Silvers doesn't count). 5. Take an eye vitamin as recommended or prescribed by your eye doctor. If someone is interested in coming to your clinic how would they contact your office? Contact us through our web site at www.DrEdwardPaul.com or by calling our office toll-free at 1-866-366-2040.